L’inglese è la lingua del business e della comunicazione professionale in genere, essenziale per chi desidera lavorare in un ambiente internazionale e avere maggiori possibilità di avanzamento di carriera. Il Business English, in particolare, è quel patrimonio di termini, espressioni e costruzioni particolari che vengono frequentemente utilizzate negli uffici e tra i professionisti dei più diversi settori, e che quindi devi assolutamente conoscere se vuoi comunicare efficacemente con collaboratori, clienti e fornitori in un mercato sempre più globalizzato. 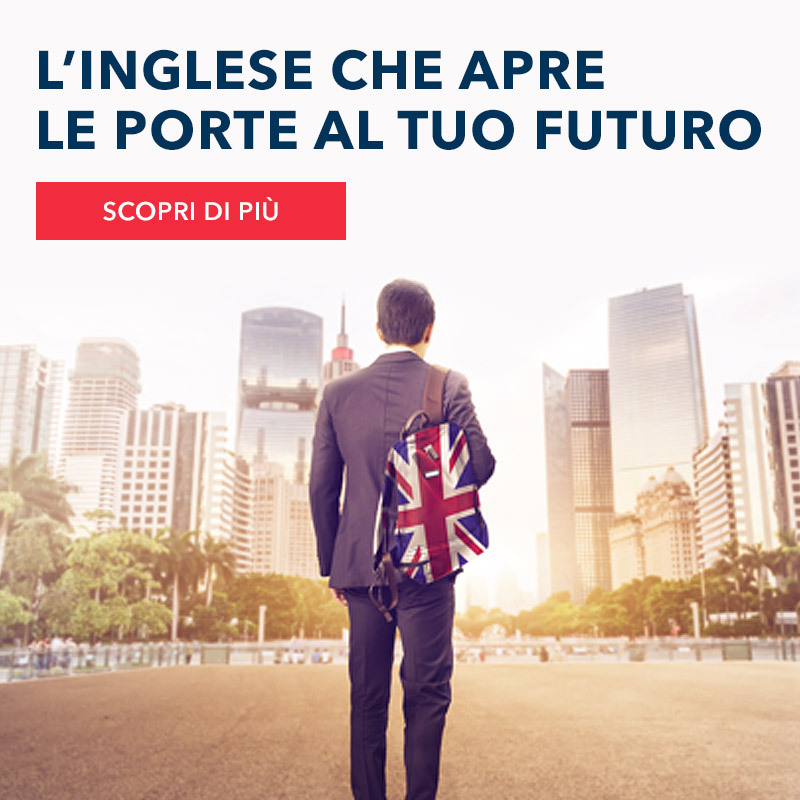 Esistono, tra l’altro, diverse certificazioni che permettono di attestare la tua conoscenza del Business English: tra le principali ricordiamo il BULATS (Business Language Testing Service) il TOEIC (Test of English for International Communication) e il BEC (Business English Certificates), tutte organizzate secondo diversi livelli. Es. : "I need a good salesperson. Could you ask around and see if anyone knows one?" Es. : "Thanks for backing me up in the meeting." Es. : "We have a bad connection. I'll call you back in a few minutes." Es. : "The boss is going to call the meeting off because so many people are out sick today." Es. : "We checked in around 5 p.m. and then got something to eat." Es. : "We checked out a few hours late and had to pay an extra fee." Es. : "I'm not sure why the copier isn't working. I'll check it out." Es. : "I was working on this project and I came across some emails from your previous boss." Es. : "We have a great team. I can count on everyone to do their best." Es. : "It's a tough economy. We're trying to cut back on unnecessary expenses." Es. : "Can I cut in and say something, please?" Es. : "They did away with bonuses last year because their profits were so low." Es. : "John dropped by my office to talk about last month's sales figures." Es. : "At first I thought I wanted to be a secretary. I ended up getting my degree in management." Es. : "Please fill out this form and bring it on your first day of work." Es. : "John might get back at you for asking him so many tough questions during his presentation." Es. : "We're going against three or four other contractors. Be sure to bid low." Es. : "The boss wants to go over last month's numbers with you." Es. : "I forgot to hand in my expense reports. Now I won't get reimbursed until next month." Es. : "I'll start explaining the changes while Mary hands out a copy of the new policy." Es. : "Could you hang on for a second? I'll be right there." Es. : "Our suppliers promised us we'd have the shipment yesterday, but the order hasn’t arrived yet. They really let us down." Es. : "I forgot my badge again. Hopefully someone else is in the office and can let me in." Es. : "Could you look over this report to make sure there are no mistakes?" Es. : "We're looking into ways to cut costs." Es. : "Are they still fighting about that? I thought they had made up a while ago." Es. : "Don't pass up on this great opportunity. Place your order today." Es. : "I haven't done my taxes yet. I've been putting it off for a long time." Es. : "The product was defective. We're sending it back." Es. : "I'll set up the conference call and send you the invite." Es. : "I don't know what I'm going to do. The job offer is great, but I'm not sure I want to leave my current position. I'll have to think it over." Es. : "We're going to try it out for a few weeks and let you know what we think. If we like it, we'll place an order." Es. : "The company turned down our proposal." Adesso sei pronto per affrontare una riunione in inglese utilizzando tanti phrasal verbs, ma se vuoi mettere alla prova il tuo business english, approfitta del nostro test online gratuito!